The minihex are full pads with the same features like their technical big brother, the SDS9 pads. adaptors for mounting the minihex on any tom arm money can buy (not only the Pearl arms, also Tama, Yamaha etc...), a strap for strapping the pad around the leg for practicing purposes, 3 suckers for sticking it onto a desktop or to the windscreen of your car. The light grey rubber surface is the same material like the SDX rubber. 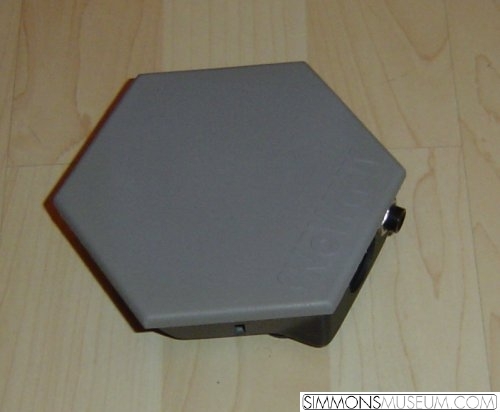 Taking a closer look at hexahead flyers you will see that the minihex pads are mounted like true cymbal pads but to be honest: I cannot believe that I would be able to hit them right in a stage's twilight? !